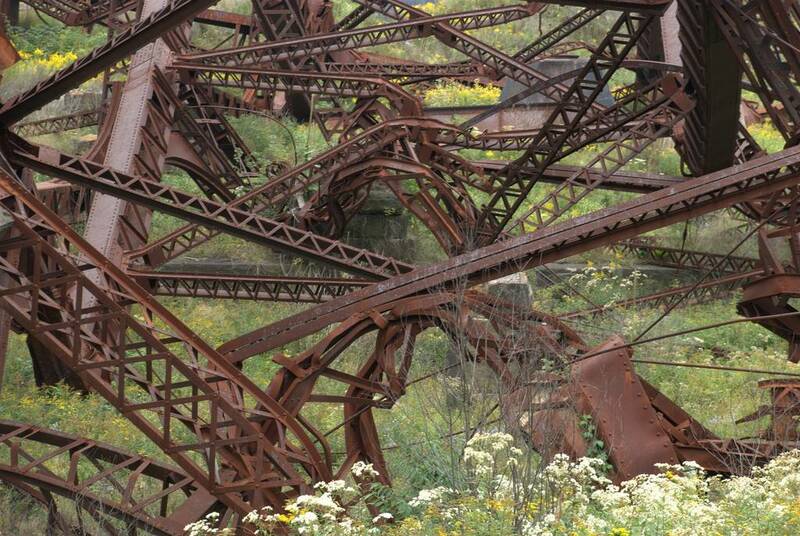 There is, on occasion, spectacle in ruin and the wreckage of the bridge is just that. 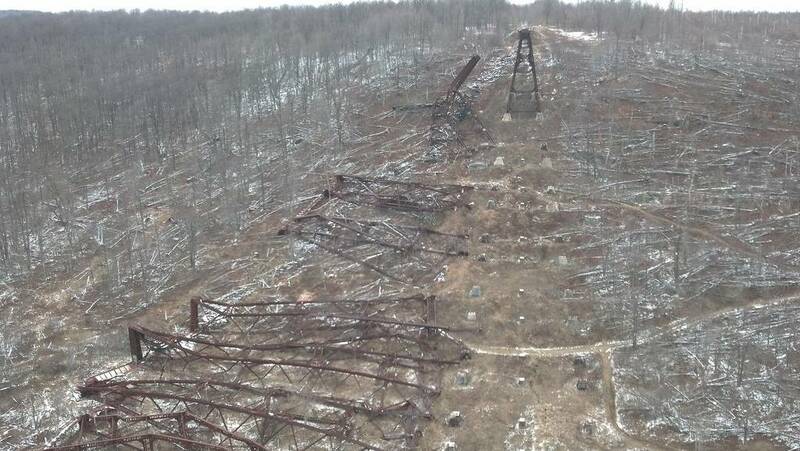 One can only wonder at the power of the tornado which did immense damage to the surrounding forest and effectively blew down 11 of the bridge’s 20 towers. What destroyed something which had stood for so long was a mesoscale convective system (MCS) which is not a single thunderstorm but a collection of them. An MCS is often conducive to the formation of tornadoes. 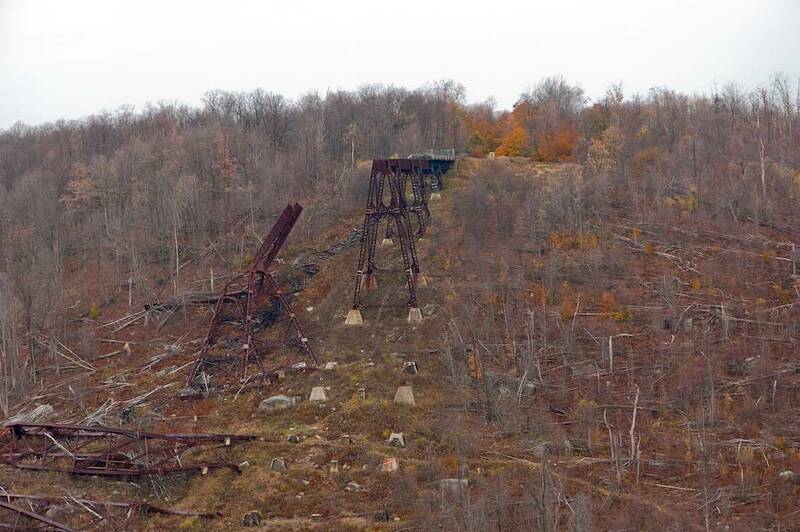 When one touched down less than a mile away from Kinzua Bridge, its fate was sealed. Yet this was no flimsy wooden bridge. 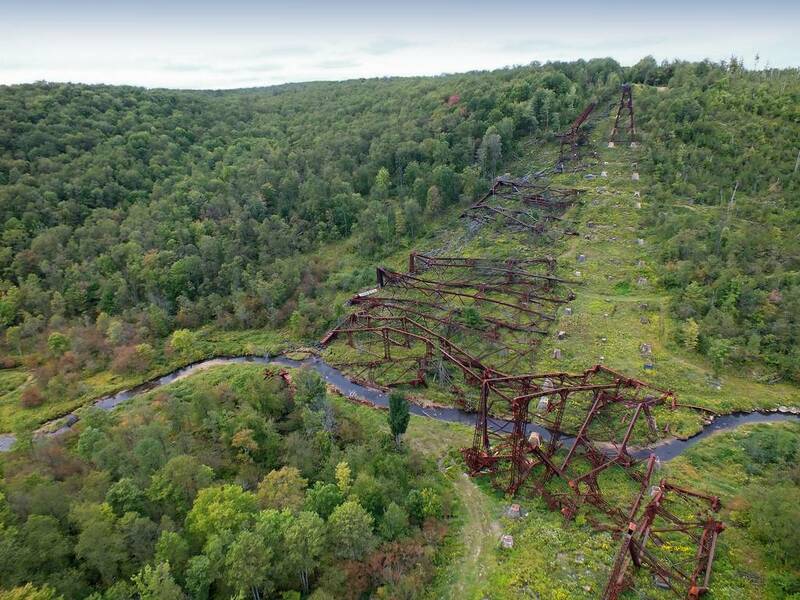 Although originally the entire structure had been made from wood, in 1900 the Kinzua Bridge had been taken down and rebuilt at the same time, the wood replaced by steel. 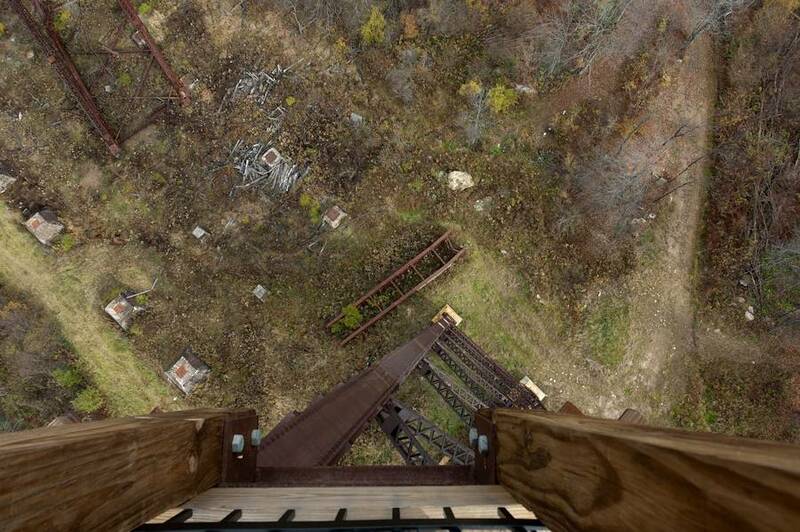 Trains had thundered over its 2,052 feet several times a day until it had been closed to commercial trains in 1959. Even though the structure was still exceptionally strong, when the tornado came it was all over very quickly. 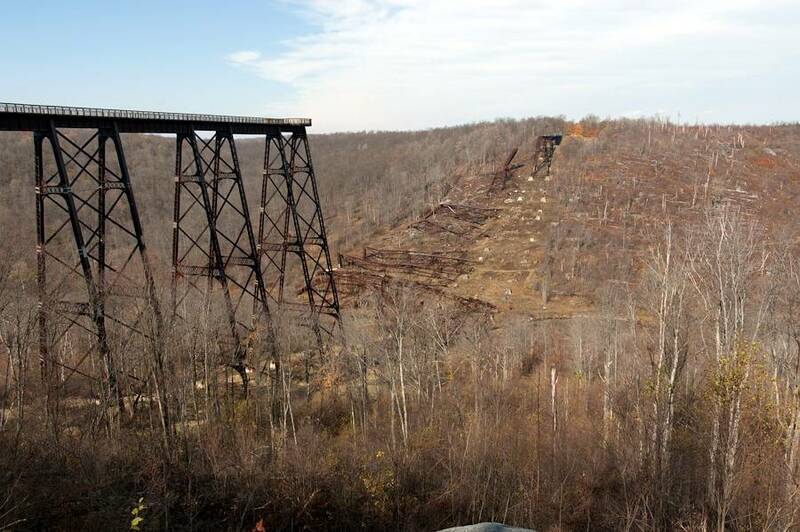 The tornado took just thirty seconds to destroy a bridge which had stood for more than a century. 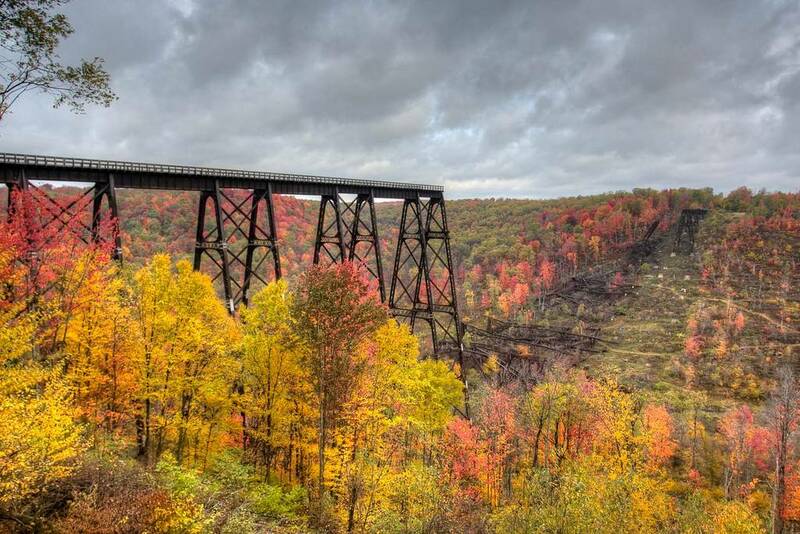 This was the bridge before the tornado hit. There was no little irony here. 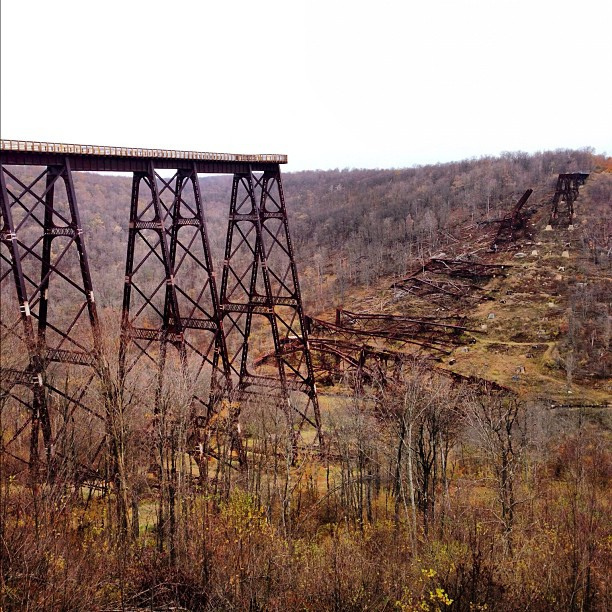 Although it had not been used commercially by trains since 1959 (tourist trains ran over it from 1987 until the bridge was closed in 2002) it was very much the centerpiece of the state park named for the bridge. The 2002 closure was intended just to be a short break from use. 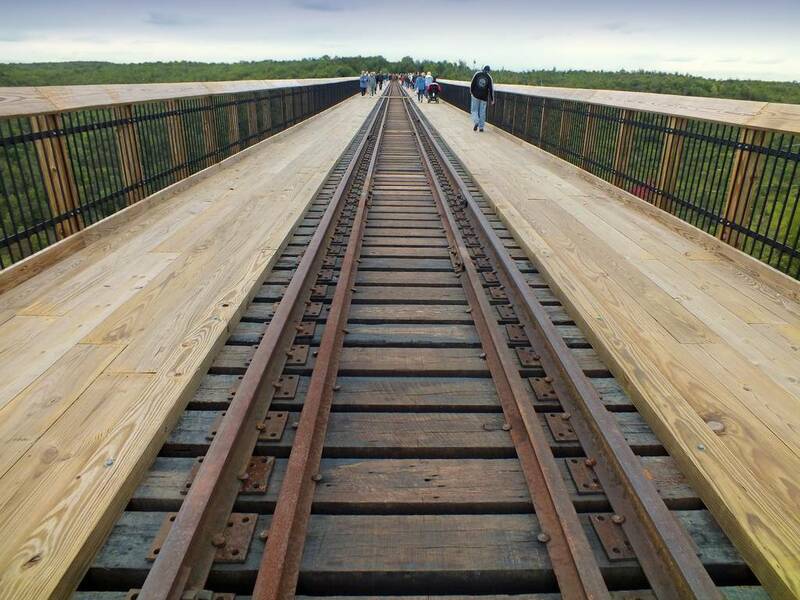 The funds had been raised and the process of lovingly restoring the bridge had begun. Only a year later the elements conspired against the bridge and its closure became something more permanent. Engineers were well aware of the danger of toppling and that was why the bridge had been closed not just to trains but to any pedestrians who might wish to cross it too. 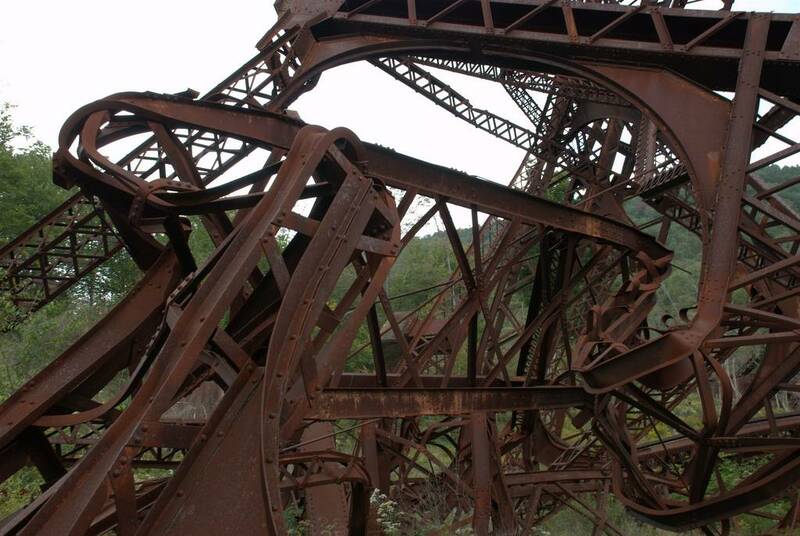 It was thought that if winds were high enough then the center of gravity of Kinzua Bridge could shift. 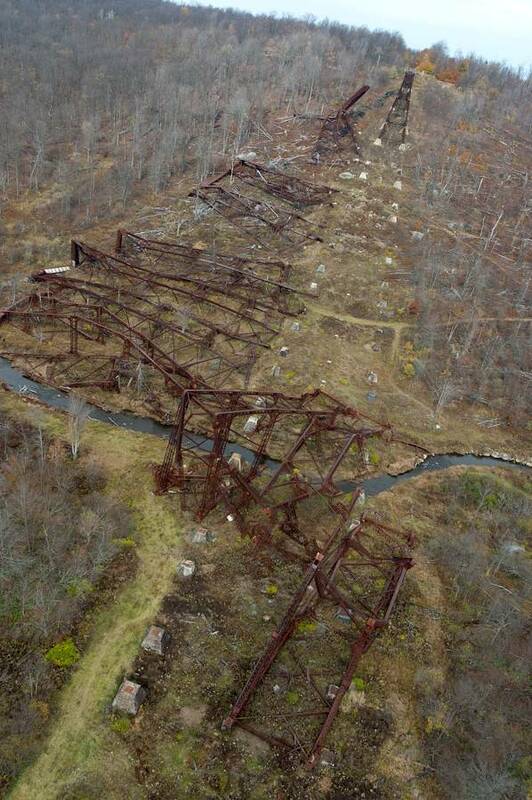 If this happened then the weight of the bridge would be placed on one side and the inevitable would happen. By July 21 2003 work had already started to fix this problem. 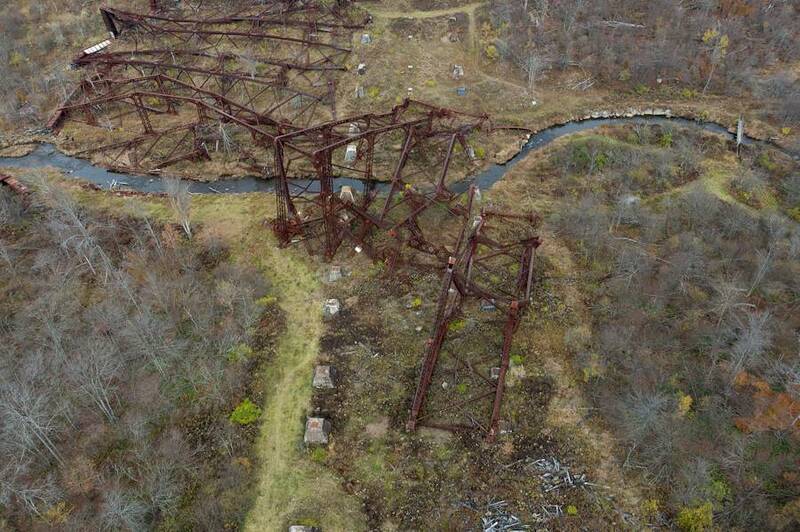 A team out of Ohio expertly trained in both the building and the repair of bridges had been working every day for several months on the restoration of the bridge. The weather had been inclement all day but by the time the storm came, the day’s tasks were done and the workers were already heading for home, no doubt looking forward to the continuance of their restoration work the next day. Little did they know that there labors were never to see completion. 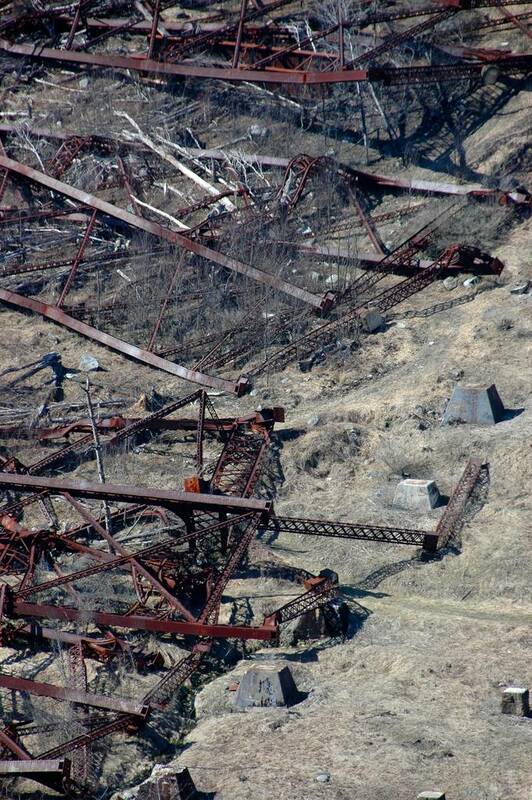 No video exists of the bridge’s collapse but the way that the towers fell has enabled engineers to give us a picture what happened in those few seconds. Yet it will take you longer to read how the bridge was destroyed than it took the tornado to do its worst. At touch down the winds were raging at almost 100 miles per hour and approached the bridge perpendicularly. Towers 10 and 11 were the first to go, falling to the west. 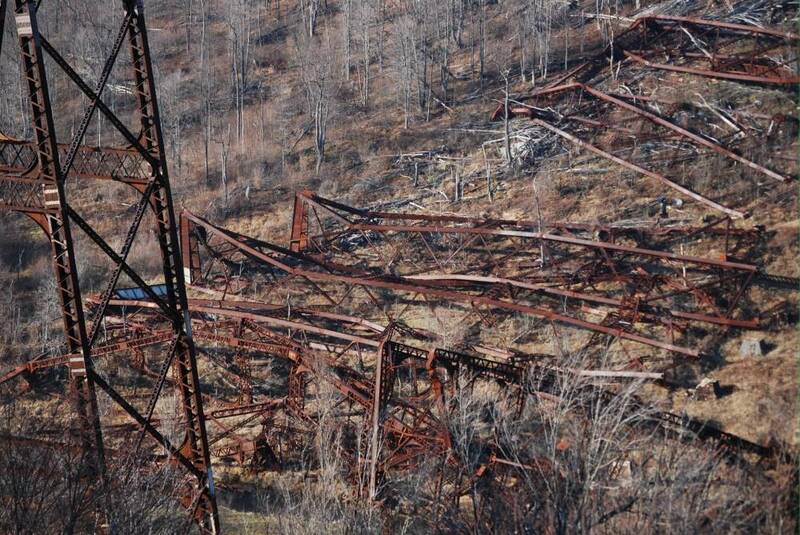 Then, twisting clockwise, towers 4 to 9 collapsed, crashing downwards, the steel frame screeching as it contorted. There was a final, ignominious collapse. Towers 12, 13 and 14 had, as 10 and 11 fell, been lifted up off their foundations and moved slightly. In a second they were then plonked back down to earth, still erect. 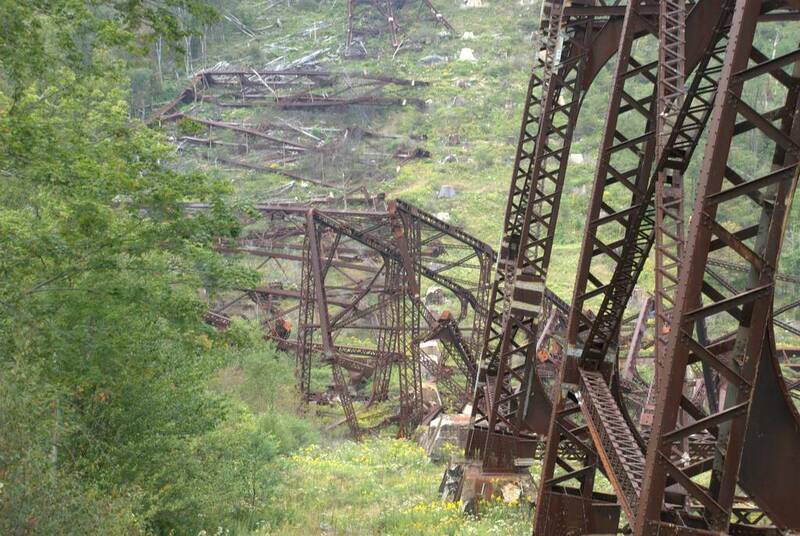 Yet, incredibly, it was only the railroad tracks which still held them together. Inexorably, spiraling downwards in a counter clockwise direction, they tumbled to the earth. Eleven towers were gone in thirty seconds. One can only imagine the heaviness of heart experienced by the restorers when they saw the damage the next morning. 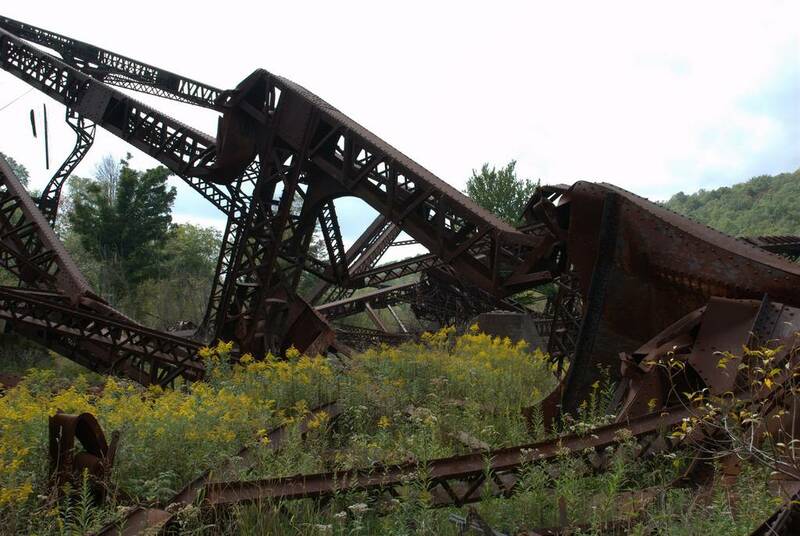 What they had been striving to avoid had come to pass and only just under half of the bridge remained standing. Yet all was not quite lost. The bridge has, since the tornado, become an attraction not despite of but because of its semi-collapsed state. 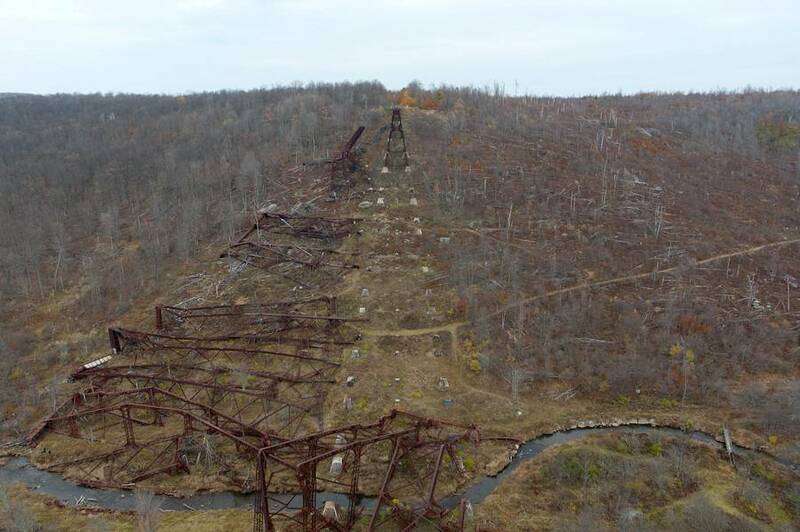 Visitors can walk across what remains of the bridge to a glass-floored observation deck from where they can survey the wreckage below. 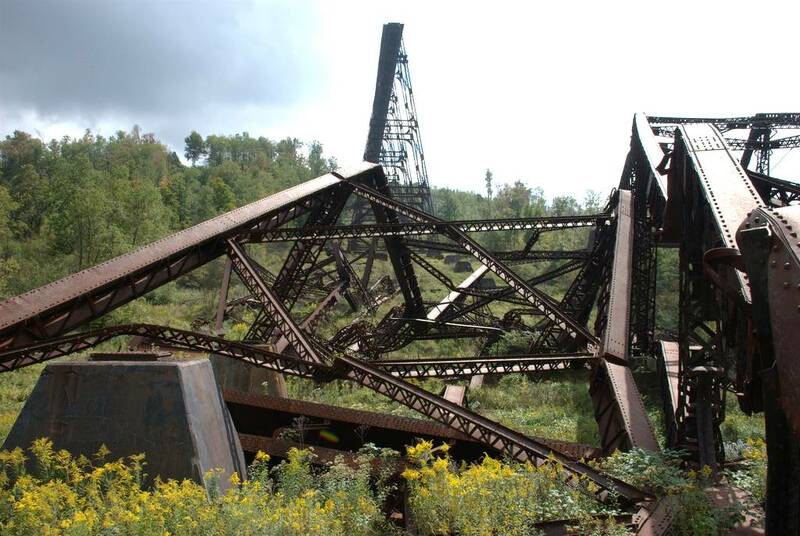 Kinzua Bridge now serves as an example of how corrosion and the elements can fell even the mightiest steel structure given time and a well-placed tornado.